Lori Chaffey and Stephanie Chaisson were the only two people working at a clinic on March 26, 2012, when Chaisson's estranged ex came in with a gun. A snowy, wintry day in March 2012 started like any other for Lori Chaffey. She drove into work with her colleague Stephanie Chaisson, the receptionist at the clinic in De Grau, on Newfoundland's Port au Port Peninsula, where Chaffey worked as a registered nurse. They had no way of knowing that within hours, Chaisson would be dead. After working through the morning, they locked up for lunch and ate together at the clinic; afterward, Chaisson unlocked the door while Chaffey went to brush her teeth. They were the only two people working at the clinic that day. "I decided for some reason to take my toothbrush and go down to the patient washroom — I had always brushed my teeth in my office area, and for some reason that day I decided to go down the hall," Chaffey said. "I heard a loud noise, a bang, and I stopped for a minute and I looked out the door, and I could see Stephanie lying on the floor in front of where my doorway was to my office, not moving, and I saw a shotgun, or a rifle, actually … pointed over her, and I realized that she had been shot." Stephanie Chaisson had been shot by her estranged husband, Luke Chaisson. Terrified, Chaffey went back down the hall of the small clinic to hide in the bathroom. There was no other way out of the building, and she had left her cellphone in her office. "I was scared, afraid that I was probably going to die myself. And I could hear him roaming around the clinic, yelling and screaming at her, and I heard him load the gun a second time and shot out again," Chaffey said. 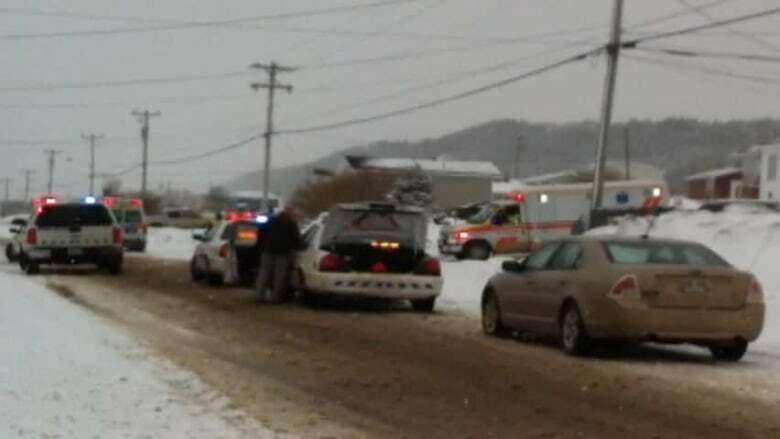 Emergency responders station themselves outside the clinic in De Grau, on Newfoundland's Port au Port Peninsula, following the shooting on March 26, 2012. She heard the click of Chaisson loading the gun for a third shot, and tried desperately to think of what she could do if he came to find her — knowing he knew she was working there that day. "I heard the third shot ring out and I heard a groan from him, and I realized that he must have shot himself, so I looked out and I could see [his] boots." Taking her chance, Chaffey ran out the front door of the clinic, to the elementary school next door to find help. The ambulance arrived right away, but they couldn't enter before police arrived from Stephenville — a trip that Chaffey said took an hour. Luke Chaisson, 54, was taken to hospital, where he died from his injuries. Stephanie, 49, was already dead from the two gunshot wounds. The British Lee-Enfield .303 firearm used was not registered, police said at the time. Luke Chaisson was on an order to stay away from his estranged wife, after being arrested in January of that year on allegations he was harassing her. Chaffey said Stephanie had told her about having a difficult situation, and described a "stalking" situation where Luke would show up wherever she went. "As a nurse I had heard and seen things over the years, and even what she had been telling me, I never really truly understood the gravity of how bad it was," Chaffey said. "She had slept with a bat, she had asked for help, she had a restraining order on him. We had been in other places prior to that — he had been there. If we went out anywhere socially, he would show up. He easily found her." Chaffey said she and Stephanie had talked about maybe a different job, somewhere else, but Stephanie loved her home, her job and her community, where her family was, so she wanted to stay. "I didn't think I was going to see my family ever again and, I guess, for those short moments — it seemed like a lifetime — I realized what Stephanie had went through," said Chaffey. "At that moment, I understood the gravity of what her life had been like and her fears." 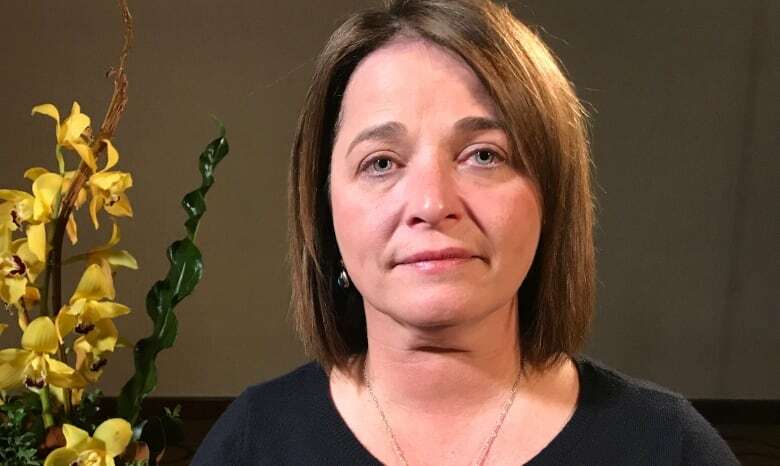 Chaffey hadn't spoken publicly about this incident until this week, when she shared her story with CBC's Fred Hutton, as well as with her fellow nurses at this week's Registered Nurses' Union N.L. meeting in St. John's. After the shooting, Chaffey took two weeks of worker's compensation, and used two weeks of her vacation time, and went to Florida to spend time with her mother, trying to keep her mind busy with games on her tablet. "I realized through that month that staying home and reliving it over and over was not helping me," Chaffey said. Chaffey wanted to go back to work, but not at the clinic where her colleague had been shot — and not just because of that incident. "We knew that it wasn't a safe facility, and I wasn't going back just for that reason, because I felt that I owed that to Stephanie." According to Chaffey, the clinic building had a number of safety issues; they had asked Western Health administration for cameras for the front doors, for example, but didn't get them. While administration sought a new clinic location for De Grau, Chaffey worked in a new clinic building in Lourdes that she said was safe and secure, especially when compared with her old workplace. Eventually, Chaffey moved to a community support position based in Stephenville, which meant doing home visits, but that meant going into some homes with alcohol and smoke. "I realized, I'm not going to be safe here, either," she said. The realization for Chaffey was that, in a nursing and health-care environment, there's always going to be a risk of safety — a realization that she said has helped her heal. "I know that sounds sad, but there is a risk for nurses no matter what position you're in," she said, adding that before the 2012 incident, she had witnessed a colleague stabbed in an emergency department. 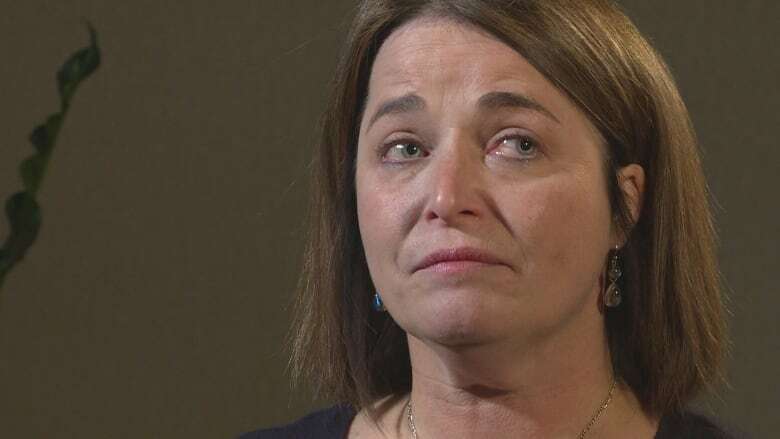 Chaffey said she was told something like this would never happen again, but just a year later, she heard about the killing of Juliane Hibbs and Vince Dillon, who were shot at killed by Hibbs' ex-boyfriend Brian Dawe, at Villa Nova Plaza health clinic in Conception Bay South. "I realized at that moment it doesn't matter where I go. If I want to stay nursing, I had to accept that there was some element of risk in our position." 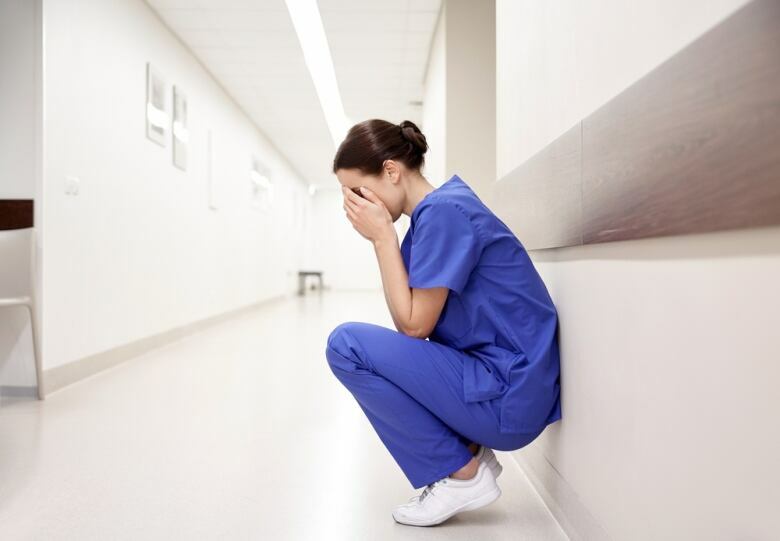 That's a hot topic of conversation among nurses in hospitals, clinics, and around tables everywhere: job safety. 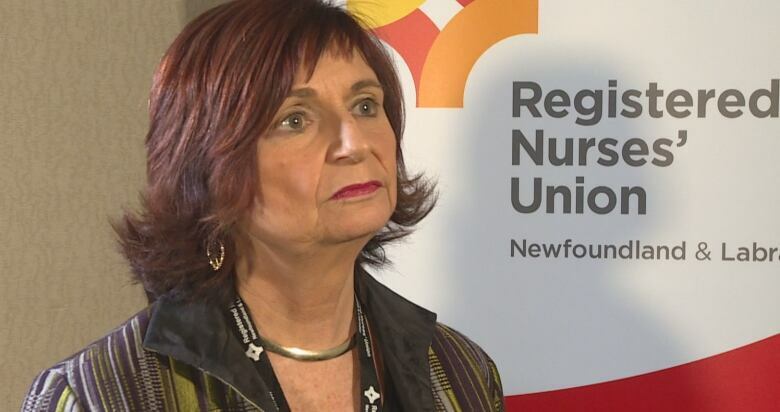 Debbie Forward, president of the Registered Nurses' Union of Newfoundland and Labrador, said the convention this week has a heavy focus on mental health in the workplace, including a session about post-traumatic stress disorder. "I think we, collectively, let her down, and other people down in that scenario," Forward said of Chaffey and Chaisson's story. "We didn't learn enough from that situation." Forward said she's happy the province is moving forward with domestic violence legislation to support victims, but it's still not enough. "We are still not tackling this issue. Workplace N.L. stats show that nursing providers … make up 58 per cent of the claims that are submitted in relation to violence and assaults," she said. "Compare that to police officers, and they're under two per cent. So we have a big problem." Forward added that there's a lack of security at health-care facilities all across the province. Meanwhile, Chaffey said she decided to come forward to share her story because she felt she "owed it to Stephanie." "Her story needed to be heard," Chaffey said. "By speaking out, my hope is that it might save another life." Chaffey said having workplace legislation is an absolute must. "We need legislation around domestic violence because it can come to you in the workplace. You could be working with someone that you really don't know or understand what's happening in their life behind the scenes," she said. "Or you work side by side with them every day, you probably know everything about them, but these are things that people won't reveal." For her, recovery is still an evolving process, and she has to work at it every day. "It will be with me my entire life. it will never go away. [But] I found a place to put it," she said. "I put it in a place to compartmentalize it, I guess. Every now and then it comes out, but then I put it back." If you or someone you know is dealing with domestic or workplace violence, there are resources you can reach out to, listed on the Family Violence court website.